I was recently given a voucher from Groupon to use on the site for something beauty or fashion related. 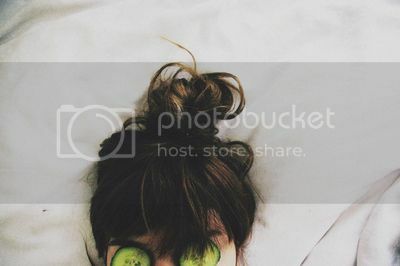 For those of you who don't know, Groupon is a site that put's together some great deals on all sorts of things, such as haircuts, facials, days out, meals, gym classes and so on. There's always something new on the site and it can be fun finding new deals for things you want to do (I once found tickets to the Zoo Lates for £9). While looking for something to redeem my voucher on, I came across a 1 hour facial from Mary Cohr, which was redeemable at a beauticians literally down the road from me, called Beauty Works. I've never had a facial before, so I thought that this was a perfect opportunity to see what all the fuss was about. After buying the actual deal, it still took me a long time to actually call up and redeem it as I really had no idea what to expect from a facial, and was nervous, but I eventually got round to it and booked myself to go in early last week. So, what did I think? I loved it! I really enjoyed myself and will definitely be going again. I was taken into a room, which had the most relaxing music in the background. I lay down and then had the most relaxing hour ever. 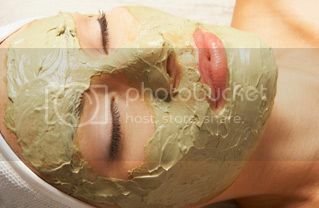 I can now see why facials are so popular. My beauticians hands were so soft, and the Mary Cohr products smelt amazing, which my skin loved. I was treated to a real face, neck and shoulder massage as well, which chilled me right now. I hunch over my computer or laptop for hours a day, and I know I have tense shoulders so it was nice to have them relax a bit. I don't really get round to treating myself that much, so this was exactly what I needed. It's always good to have some 'me-time' pampering, be it a facial, manicure or haircut, and we all deserve treat ourselves. If you haven't already, I recommend going in for a facial, and I recommend finding a good deal for it, or anything else, via Groupon. Do you like facials? Let me know your thoughts on Groupon. I should try getting a professional one done - I've heard they're amazing! i love love getting facials. i wish i could do it more often. I need a facial desperately! I would love a facial right now! i love facials. it does make a difference for my skin. It´s been years since my last facial! It´s very relaxing indeed.